Up to 20% Off Select Fleece Apparel Plus Free Shipping at Eastbay.Com. Exclusions Apply! MLB Fan Gear. Up to 60% Off. Plus $5 Shipping at Final-Score.com. Exclusions Apply! Up to 40% Off Select Fall Footwear Plus Free Shipping at Eastbay.Com. Exclusions Apply! Latest Markdowns. Up to 70% Off Top Brands. Plus $5 Shipping at Final-Score.com. Exclusions Apply! Up to 30% Off Select Running Shoes Plus Free Shipping at Eastbay.Com. Exclusions Apply! Deal of The Week. 20% Off Select Casual Footwear. See Price in cart. Plus $5 Shipping at Final-Score.com. Exclusions Apply! Free Shipping Every Day. 90 Day Returns. No Code Needed. Contiguous Us Only, Exclusions Apply! Early Black Friday Savings! 40% Off or More on Select Styles Plus Free Shipping at Eastbay.Com. Exclusions Apply! Shop Select Tees and Shorts Starting at Just $4.99 at Final-Score.com. Exclusions Apply! Take 15% Off Basketball Footwear at Final-Score.Com! Use Code BBALLNOV. Exclusions Apply. Valid 11/7-11/12! 20% Off Select Running Shoes and Apparel Plus Free Shipping at Eastbay.Com. See Price in Cart. Exclusions Apply! Up to 50% Off Fleece Favorites at Final-Score.Com! Exclusions Apply! Three Stripes Savings! Up to 50% Off Adidas Plus Free Shipping at Eastbay.com! Exclusions Apply! Save Up To 70% on Timberland Boots at Final-Score.Com! Exclusions Apply! Upgrade Your Fanhood! 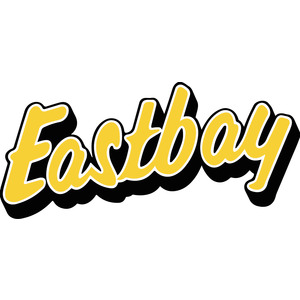 Up to 25% Off Fan Gear Plus Free Shipping at Eastbay.com! No Code Required. Exclusions Apply! Shop Adidas Nmd Sneakers Up To 60% Off at Final-Score.Com! Exclusions Apply! $20 Off $120 Plus Free Shipping at Eastbay.Com. The Best Athletic Gear and Your Favorite Brands! Use Code LKS18N93. Exclusions Apply! 10% Off $50 Plus Free Shipping at Eastbay.Com. the Best Athletic Gear and Your Favorite Brands! Use Code LKS18N62. Exclusions Apply. Take $25 Off $125 at Eastbay.com! Use Code: LKS25OFF. Exclusions Apply! Take $40 Off $175 at Eastbay.com! Use Code: LKS40OFF. Exclusions Apply! One Day Only! 20% Off $99 Plus Free Shipping at Eastbay.com! The Best Athletic Gear and Your Favorite Brands. Use Code LKSFL20. Exclusions Apply! One Day Only! 20% off $99 Plus Free Shipping at Eastbay.com! The best athletic gear and your favorite brands! Use Code: LKSHT20. Exclusions Apply! Take $55 Off $225 at Eastbay.com! Use Code: LKS55OFF. Exclusions Apply! Shop the Latest Training Gear at Eastbay.Com! Plus Get Free Shipping! Limited Time! Take an Extra 25% Off Select Styles Plus Free Shipping at Eastbay.com. Exclusions Apply!